My writing takes many forms: books, articles, essays, brand strategy, advertising and more! My greatest passion is telling the stories of creative people—the unsung makers, designers and artists working at the intersection of pop culture and design. The pioneering video game company Atari is well-known for its games and tech innovation at the dawn of the video game era. But the Silicon Valley brand also led its industry in art and creativity, creating iconic packaging artwork and design that left a lasting impression on gamers and popular culture. 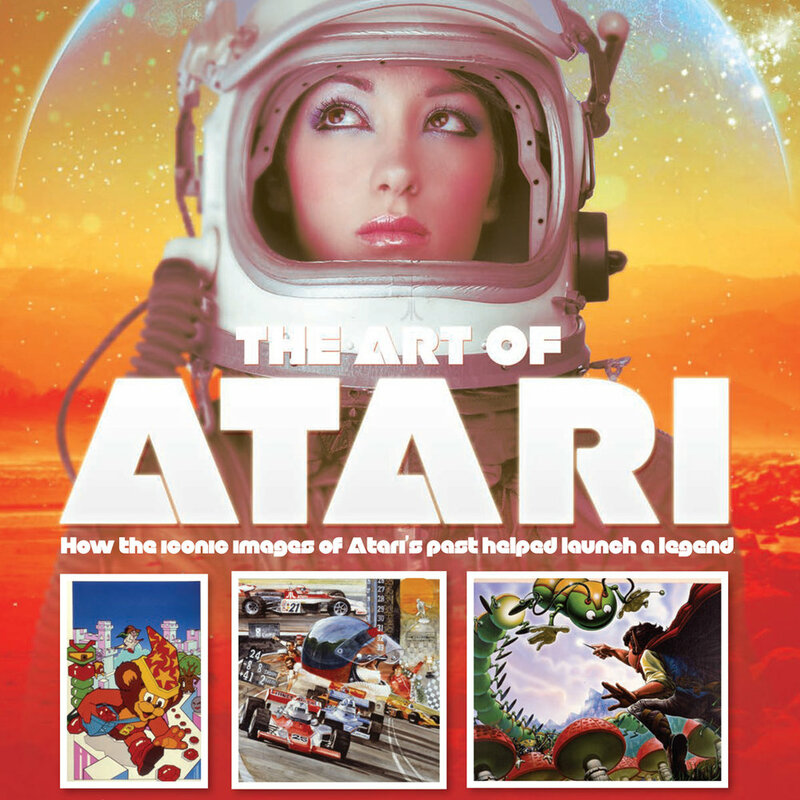 I sought to unearth this forgotten legacy in my design history book, Art of Atari. Most design inspiration books feature the same well-regarded (and awarded) work, but I (and co-author Jason Adam) sought to broaden the creative conversation, allowing designers and artists to choose their own highlights. Damn Good showcases the work of designers from 35 countries and multiple disciplines, telling the stories of their most personal and favorite projects. Undisputed Street Fighter™ followed the success of Art of Atari by training a lens on one of the most storied franchises in video games. Author Steve Hendershot conducted in-depth interviews for an intimate, historical look into the making of the Street Fighter games, and the iconic art, design, and imagery from across the Street Fighter universe. I served as Editor for this second volume in Dynamite’s Video Game Icons series, wrote the foreword and curated much of the book. As part of a limited edition of the book, I also commissioned a series of exclusive art prints by a variety of artists, including Chuck Anderson of NoPattern, Delicious Design League, Zack Anderson of Super Ultra and Antonio García. Eccentric artist and futurist Arthur Radebaugh made his name in the Detroit automotive industry in the 1940s and 50s, airbrushing luscious car illustrations for the likes of Chrysler, Nash and Dodge. He also created futuristic advertising designs for United Airlines, Coca-Cola, National Oil and more. Not content with commercial work-for-hire, Radebaugh also drew a long-running syndicated newspaper strip that explored the world of tomorrow, called Closer Than We Think, leaving a lasting impression on millions of readers and creatives. Influential but unheralded, Radebaugh’s work straddled commercial illustration, comic strips and mid-century design. I’m currently working on a design monograph that chronicles his creative output. For nearly 40 years, Pac-Man has chomped his way through video games and pop culture. In his wake, the little yellow icon of the arcade has left a train of amazing stories—of characters and creativity, heartbreak and victory. I’ve been chasing these stories like so many phosphor glowing dots. For this cover feature, I profiled the quirky programmer who brought Pac-Man to home consoles for the first time, in a game both reviled and historically successful. Our imagined future wasn’t always so dystopian. Thanks to Blade Runner, The Terminator and other dour visions, the future often casts shadows of doubt rather than rays of promise. My bio of illustrator and self-proclaimed “imagineer” Arthur Radebaugh exhibited his jaunty, optimistic world of high-speed monorails, flying cars and rocket pack mailmen. In particular, his syndicated newspaper strips did much to spread his vision of amazing inventions and outlandish concepts, all beautifully drawn. At a time when playing video games on a home television was still a novel idea, the artists and designers at Silicon Valley icon Atari were injecting their own creativity into the marketing and design of the company’s games. Unheralded illustrators and designers helped flesh out the pixelated worlds of those early video games, creating a bridge of imaginations for hungry for narratives and characters. I interviewed some of these creatives, along with the fans seeking to preserve the game company’s history.